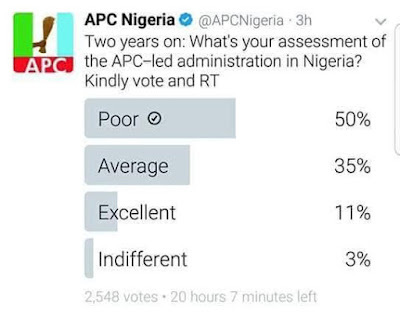 Nigerians have rated the performances of President Buhari led administration as poor in a poll conducted by the ruling All Progressives Congress, APC. The online poll recorded about 14, 532 votes with 50% of the respondents rating the administration as poor; 35% rated the administration as average while 11% voted for excellent. 3% of the respondents were indifferent. 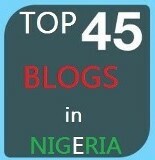 Gosh.......... who there vote epp!